China's proposal to build a 12 m-aperture telescope in the west of the country has stalled due to a dispute over how many mirrors the telescope should have. The ¥2bn ($300m) Large Optical/Infrared Telescope (LOT) will be one of the world's largest upon completion and is expected to let Chinese astronomers explore the early universe and exoplanets. However, optical engineers and scientists hold seemingly irreconcilable differences on the best optical design. The largest general-purpose telescope in China is currently a 2.4 m facility in Lijiang, Yunnan province. The lack of a large-aperture, general-user optical telescope has seriously hampered the development of Chinese astronomy. Astronomers first submitted a proposal for LOT in 2015 and in December last year it came second on a list of 10 research infrastructures compiled by the National Development and Reform Commission for the current national five-year plan, which runs from 2016 to 2020. Construction is due to begin by the end of 2018 with the telescope's first light in 2023. The original optical design for LOT called for a four-mirror system featuring a primary and secondary mirror as well as a so-called "SYZ relay mirror" and a flat-fold mirror. According to its designers from the Nanjing Institute of Astronomical Optics and Technology (NIAOT), which is part of the National Astronomical Observatories of the Chinese Academy of Sciences, the biggest advantage of such a scheme is that it can produce high-quality images. However, the design is complicated and risky as many of the techniques used in a four-mirror system are still at an experimental stage. That is why some researchers – backed by a group at Huazhong University of Science and Technology in Wuhan – have expressed concern about the design. They instead want a three-mirror system that would be based on a Ritchey–Chrétien (RC) design that is widely adopted by existing telescopes such as the twin Keck Telescopes atop Mauna Kea in Hawaii. "We have little prior technical experience, so we need to minimize the risk, cost and complexity by adopting as simple as a design as possible, and use available, proven technology to satisfy the scientific requirements," says astrophysicist Luis Ho who is director of the Kavli Institute for Astronomy and Astrophysics at Peking University. In April a panel of nine international experts from nearly all existing and planned 8–30 m-class telescopes met in Beijing for a review of LOT's three- or four-mirror optical design, where the conclusion was overwhelmingly in favour of the three-mirror system. "The four-mirror SYZ optical system cannot compete with the standard RC solution in meeting the government and scientific demands on limiting magnitude, field of view, operational flexibility and total budget," the review read. "The SYZ optical system is therefore eliminated from further consideration." However, NIAOT researchers did not back down, questioning China's support of innovation and the US involvement in the three-mirror system. "Why should foreigners be meddling with our own telescope?" they wrote on social media. CAS then organized a re-evaluation on 10 July with the absence of three-mirror representatives and a panel made up of 21 domestic scientists only. The panel gave their support for the four-mirror system. The dispute was intended to stay private but went viral on Chinese social-media platforms when it was leaked early last month. NIAOT's Ming Liang, who is one of the designers of the four-mirror system, says public debate is good because it is a chance to familiarize people with their innovative design. He points out that many of the criticisms of their design are unfair and wrong. "I've never heard of such international reviews for any big telescope in the world," he wrote on one Chinese social-media site. "For a telescope funded by the Chinese government, the design should come from within [China]. We will take good suggestions from foreigners, but they don't get to decide how our telescope will be built." 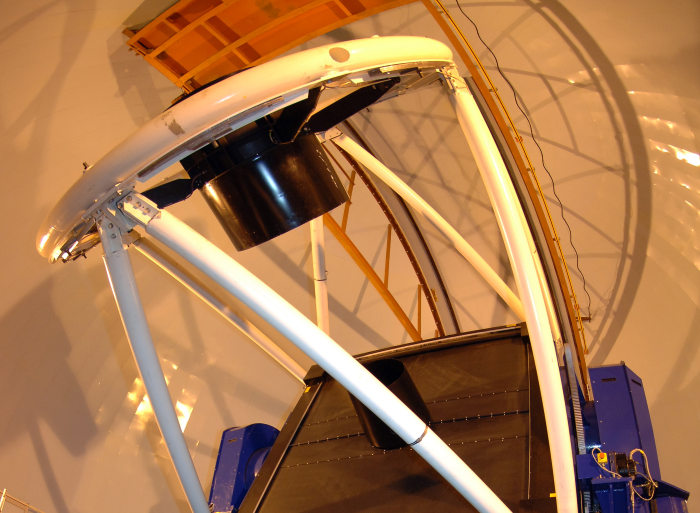 Sandra Faber, an astrophysicist from the University of California, Santa Cruz, US, who was not a member of the international advisory panel, says that the four-mirror system will "seriously" limit the telescope's field of view. Yet her main concern is that good science needs to be done with the instrument. "The astronomical world will not care whether there are three mirrors, or five mirrors, or 10 mirrors – they will only care about the brilliance of the science results," she says. "If China wants to become a leader on the world astronomical stage, it needs to focus on good science, not on telescope design." Ho, who says that he is "shocked and dejected by the chain of events", adds that scientists in China need to "rise to the challenge" or they will never catch up with other countries.